Studying photosynthesis at the single-molecule level could lay the groundwork for better understanding of quantum physics’ role in nature. Researchers from the Institute of Photonic Sciences (ICFO) in Barcelona are using their advanced laser microscopy setup along with laser pulse characterization, shaping and compression technology developed by Biophotonic Solutions Inc. (BSI) to study photosynthesis and energy transfer in single light-harvesting complexes. The customized BSI technology, the MIIPS Box 640 pulse-shaping instrument, provides automated ultrafast laser pulse measurement, compression and shaping in real time and delivers optimized laser pulses at the focal plane on demand. 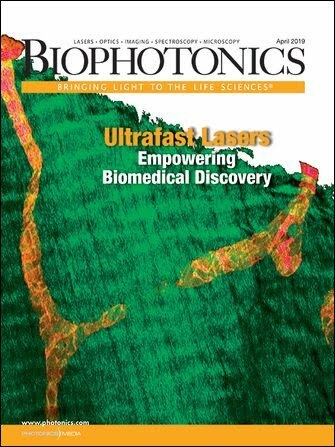 The technology was incorporated into ICFO’s single-beam, two-color, pump-probe laser microscopy setup, allowing researchers to instantly characterize and compress the pump and probe pulses to just 15 fs without having to engineer a significantly more complex laser setup. The shaper controlled the delay and relative phase between pump and probe pulses with attosecond resolution. As part of the experiments conducted, individual antenna complexes of a purple bacterium were isolated. The researchers then used femtosecond pump-probe laser microscopy to demonstrate and observe the ultrafast quantum mechanical dynamics behind the energy transfer. Sunlight that is absorbed during the photosynthesis process by light-harvesting pigment-protein antenna complexes is funneled to a reaction center where it is converted to chemical energy.